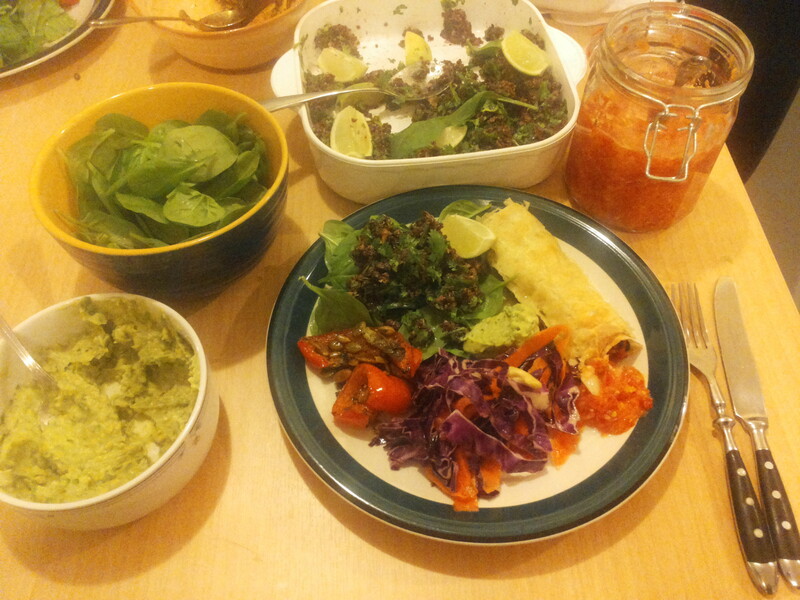 Last night, our 40 Day Challenge potluck dinner featured a stunning Sattvic Mexican banquet, hosted by Simone! Not one person on the Challenge is missing eating meat … why? Because sattvic food is delicious, nutritious and auspicious! 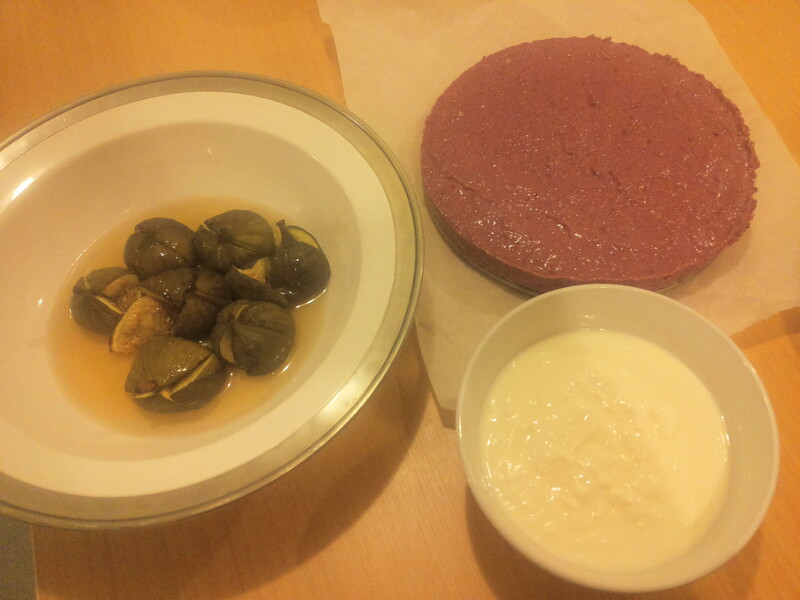 Also, these once-a-week sattvic-themed dinners allow us to eat far more healthily and lavishly than if we were preparing foods for ourselves. Our banquet included: lightly seasoned kale chips by Simone, vegan ‘chorizo’ by Ali, vegetarian burritos and guacamole by Jen; red quinoa and wild rice by Annabelle, roasted peppers with toasted sunflower seeds by Viv, tangy fresh salsa by Andy, red cabbage and carrot salad by Maree. 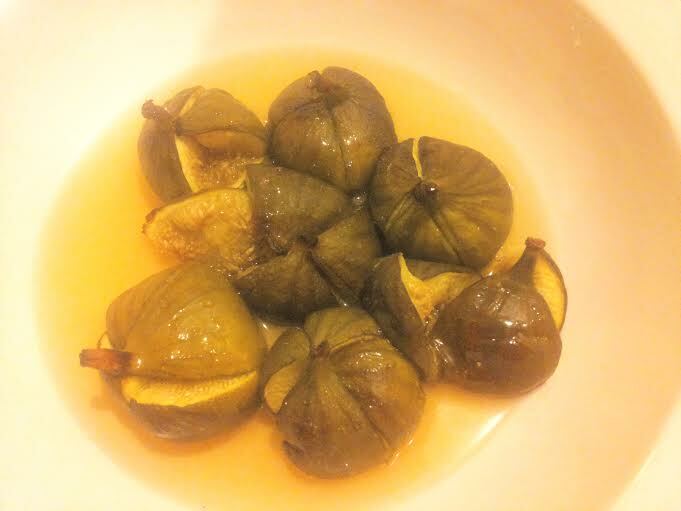 Maree also made exquisite roasted figs drizzled in honey for desert. Simone complimented this with a stunning vegan berry cheesecake. Terese offered us hydration with sparkling water, mint and lime to drink, to which Ali added a fresh fruit syrup. The over all effect was amazing!